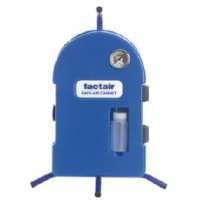 Factair's Breathing Air Systems allow your workplace to maintain a safe and productive environment. The intelligent and practical design offered by our stock of Safe Air products will offer second-to-none ventialtion, filtration and testing gear. Breathing Air There are 24 products. At Resmar, our supply of Safe Air Cabinets offers you a high standard breathing-air. 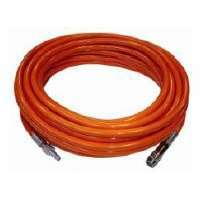 Filtered from a regular supply of compressed air, the cabinet is built to be fixed on either mobile compressers or factory air lines. In use, these cabinets can remove liquid and solid particulate matter down to the magnitude of a 0.01 micron. Odour and oil vapour is further eliminated to 0.003 p.p.m. This high level of filtration exceeds the criteria provided in the BS EN 12021 guidelines. These cabinets are produced in polyethylene housings, making them a durable, impact-resistant solution to even the most hazardous working environments. As well as being available in both a wall mounted and portable free standing range, the Safe-Air cabinets come in 2 differing output sizes; 707 1/min from up to 3 outlets and 9901/min from up to 5 outlets. 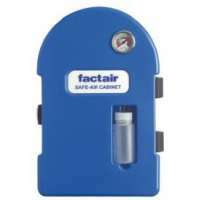 The Safe-Air Cabinets come, as standard, with coalescing and carbon filters and a pre-filter. Units are fitted with a pressure guage, pressure regulator and automatic condensate collection. An adjusting key is used to set and determine the air outlet pressure, whilst a pressure guage integrates the correct operating constants. This includes both positive pressure and constant flow masks, as required in the regulations of BS EN 145594. 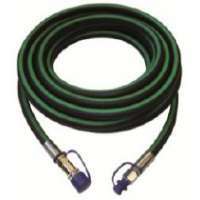 The wall mounted version of the Safe-Air Cabinet coalesces the connection of outlets at the bottom of the unit, ensuring operability on the left, right and front side of the product for the user, thus the likelihood of hose counterparts being kinked, dented or distorted is significantly reduced. The portable edition includes a fitted carry frame, allowing the cabinet to be used on rough, hard or uneven terrain. In order to minimise the chances of the outlets being warped or damaged, they are fixed onto the right hand side of the unit. In accordance with EN12021 regulations, the outside pressure dewpoint should not exceed -11°C. Here at Resmar, we stock Safe-Air Filtration Trollies, providing a breath of fresh air to your work. Our stock has varities of these trollies, including SAT450HD, SAT950HD, F2257A and a portable aftercooler trolley. These units offer a smooth, controlled and uninterrupted supply of breathing quality air, which exceeds the conditions and standards of EN12021 and a number of international requirements. Designed as a rugged, long-lasting piece of equipment, the trollies are mounted in a durable polyethylene housing. Including very little ferrous components, these units integrate stainless and aluminium components, making it a suitable choice for usage even in the most formidable of environments. Its stainless steel wheeled frame means that the unit can be effortlessly manoeuvered into the users desired position. The CEJN breathing-air outlets at the back of the units have adjustable regulator inside the unit. A supply of compressed air is connected to an input valve on the unit's side, later passing it through a 25 micron pre-filter and a 0.01 micron oil mist coalescing filter. This air can then be sent to a pneumatically controlled pressure swing dryer, which includes a desiccant media, with the abillity to both dry the air to an appropriate pressure dewpoint of -40°C. At this point the levels of carbon dioxide are monumentally lowered. Purge air from this system is now exhuasted from the unit through a silencing system. Dried air is then passed via a hopcalite catalyst filter, oxidising any excess levels of carbon monoxide, back down to safe levels of carbon dioxide. Now, the air is finaly passed through a carbon filter, meaning that it is now protected against the potential breakdown within the desiccant media. Any odour or oil carryover is now, if not removed, significantly reduced to less then 0.003ppm. These Breathing-Air Filtration Trollies are certainly a safe and reliable source of air, exceeding many international breathing air standards. You can also be confident that you are now completely protected against any harmful levels of carbon dioxide and carbon monoxide. 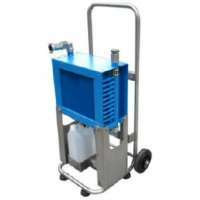 Mobile breathing-air filtration trolley (excluding CO/CO2 suppression), failsafe automatic high dB pneumatic oscillating alarm & emergency reserve system from 2 no. 9 litre 200 bar cylinders. 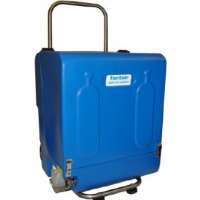 Portable, self-contained after cooler trolley for reducing compressed air temperature prior to breathing-air filtration systems. The intelligent and practical design offered by Atex Zone 1 compliant Safe Air products provides the necessary standard for breathing air, from in small confined spaces or large industrial plants. 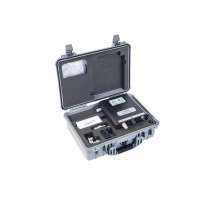 Whether you require a reliable testing kit or lightweight air hoses, Resmar's stock of Breathing Air systems guarentee breathe-easy solutions.